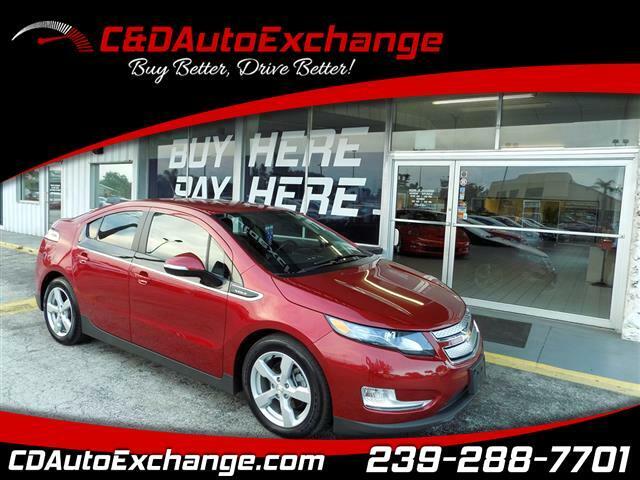 Carried over for 2014, the Chevrolet Volt is equipped with an EV Hold drive mode that enables a switch between electric and extended range modes. The Volt is powered by a combination of a 115kW electric motor, 16kWh lithium-ion battery and 1.4-liter gasoline engine producing 149 hp and 273 lb-ft of torque. Fuel mileage is an impressive 101 mpg city and 93 mpg highway, and a full charge yields 40 miles. Features include a rearview camera, push button start, OnStar Remote Link, standard USB port, turbo-by-turn navigation system, premium sound system, automatic climate control, and hands-free phone capabilities. Safety is comprised of advanced airbags, stability control system, traction control system (TCS), forward collision alert, lane departure warning, and automatic crash response. The Volt is backed by a 3-year/36,000-mile warranty.